Let’s bounce! Or climb or spin…anything to get in some physical activities if you’ve got active kids stuck indoors, right? We love outside play, but what do you do when going outside won’t work? 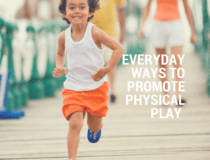 You need physical activities to keep kids happy while cooped up inside – especially with an active preschooler or busy toddler, having a few indoor active toys around can make a big difference in everyone’s sanity. Here’s a list of our very favorite indoor play equipment for active kids. 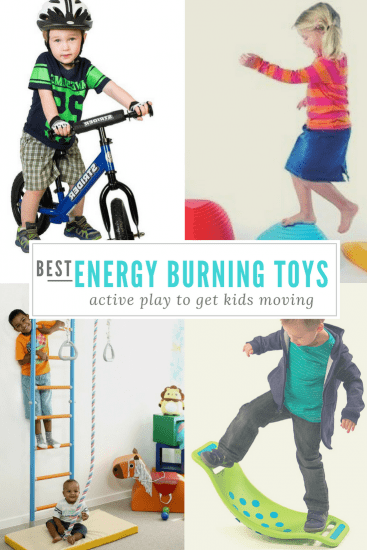 These are the best active toys for burning energy with bouncing, spinning and movement indoors. This post includes affiliate links to these products. I’ve split the following list up into toys for toddlers, toys for preschoolers, and then toys for big kids (ages 5+). Toddlers are becoming more adventurous and ready to try out their new mobility skills. The following toys make this possible even when you’re stuck indoors. 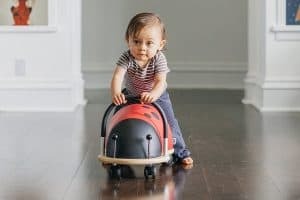 An indoor ride-on toy that carries things! What I love about this Radio Flyer Ride On Toy is the storage compartment beneath the seat. Toddlers adore transporting things from place to place, and this toy gives them lots to do – fill up the compartment, ride it into the next room, unload…fill it up again. Great way to use that toddler energy. Wheely Bug – Another good choice for toddler ride-on toys that can be used inside are the Wheely Bug toys from Prince Lionheart. These rolling toys go in all directions giving little legs an opportunity to develop gross motor control, they’re cute (they actually even have a hedgehog!) and they have both large and small sizes, so if you have a kid growing fast you can choose the larger size so it will last longer. 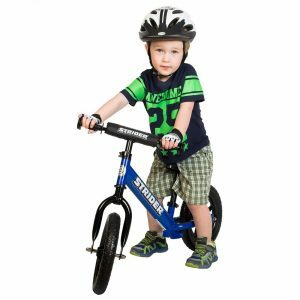 Strider – Depending on the space in your house you may be able to bring a toddler balance bike indoors. Our house isn’t very big, but if the wheels were clean sometimes they could ride back and forth from the front door to the kitchen. We loved our Strider. It lasted through all of the kids and helped them gain balance and confidence, making bike riding much easier when they got older. You can now even get a Strider with a removable rocking base making this toy last even longer; one year olds can use their strider as a rocking toy before they’re big enough to begin riding on it. 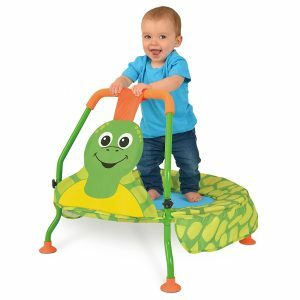 Toddler Trampoline – Bouncing on a trampoline is a wonderful way to burn off energy for high energy toddlers and one of the only trampolines I found that is sized for the tiniest bouncers is this one from Galt. It is good for kids ages 1-3 years. Rody Pony – These things are awesome – one of the toys in our house that’s gotten ongoing play for years. We’ve got two ponies and all of the kids from toddler up to age 8 have played with them. 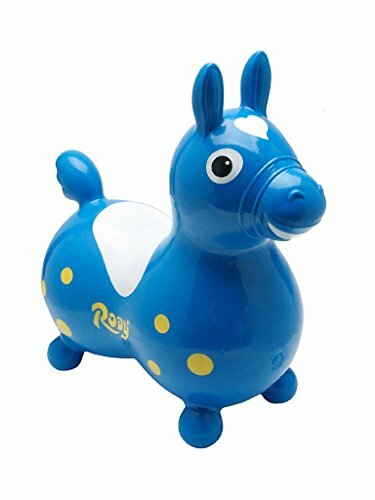 Rody Ponies are super strong bouncing toys, and fun for many ages. They’re super durable and last for years. Aside from their bouncing capabilities, they’ve been central to countless pretend scenarios. 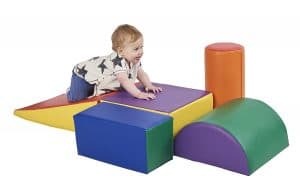 Giant Foam Blocks – Babies and toddlers can climb, crawl and stack these big foam blocks. They invite movement and stacking to create structures that can be played on. If one set is a hit, you can also add different shapes or a tunnel. Stepping and Balance Stones – the Gonge Hilltops are a set of five “stones” that can be used to make an obstacle course. 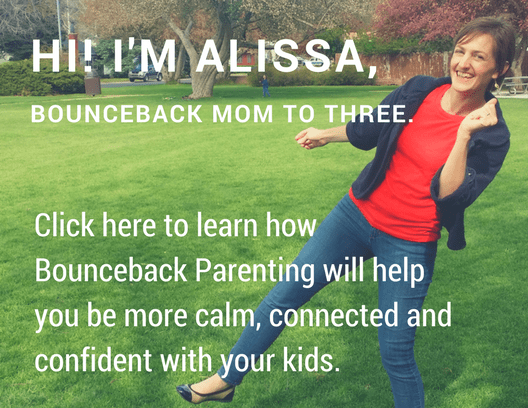 They promote balance and coordination as kids step from one to the other, and they can be stacked to store. This is a long lasting toy because it can be used from toddlers on up to teens. A slide! 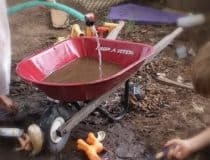 This is simple and classic childhood fun, and great gross motor play for toddlers. Climb up, slide down. Or add a challenge – climb up with your teddy bear and have it slide down! Lots of room for cause and effect experimentation. 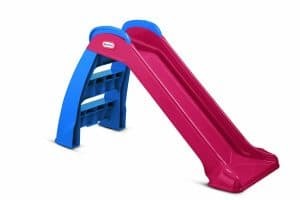 The Little Tikes Slide is foldable as well, in case you want to store it away when it’s not in use. 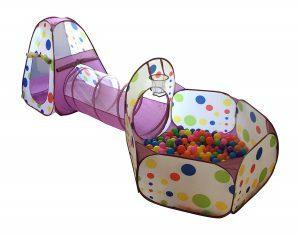 Play Tent and Tunnel + Ball Pit – Get kids bending, crawling and moving with a tunnel and ball pit. This one is affordable and has very high reviews. I love that it also has a tent which offers its own long-term pretend-play value. Do note that you’ll have to buy the play-pit balls separately. You can find a list of our favorite active toddler board games here. You can find ideas of active-play games siblings can play with toddlers here. 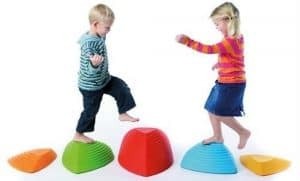 Be sure to look through the ideas listed for toddlers above as well because many of the toys such as the Rody Pony and Stepping and Balance Stones are perfect for active preschoolers as well. Mini Trampoline – Great indoor play equipment for days when your child seems to have an endless need to crash around the house. Get that kid bouncing instead! 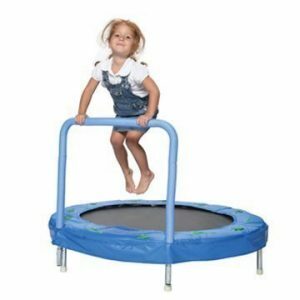 Jumping on a trampoline is also a fun physical way to practice spelling or math facts for older kids, so if you get a quality one, a trampoline can really be a lasting toy investment. This 48″ trampoline (with a handle) goes up to 100lbs. Or jump with your child! This parent child trampoline is perfect for either two kids jumping or a parent and child. I want one. 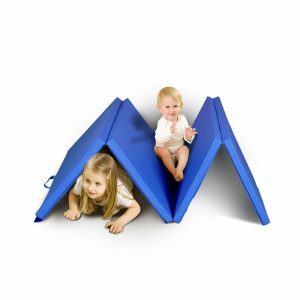 Bilibo – After finding my three year old spinning on the floor in a mixing bowl, I knew we needed a couple of these toys instead. 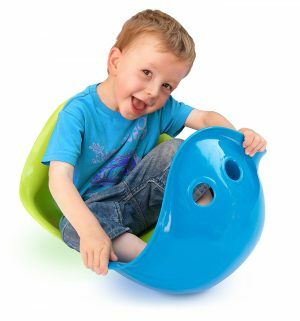 Bilibos are one of the best indoor active toys because they’re so versatile. They’re very durable and encourage spinning, rocking, toy carrying and pretend play. Ours have been used in the bath, in the fort outside and even as step stools. 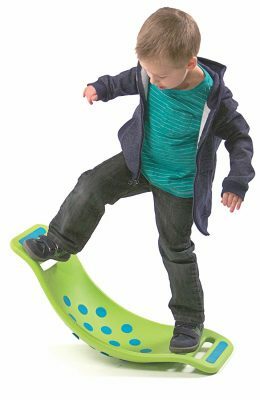 Balance Board – The ALEX Monkey Balance Board is sized well for little kids, but has a high weight capacity if older siblings wants to try it out. Balancing on it offers a physical challenge and strengthens core muscles. A Pod Swing – Our indoor swing is one of the best investments we’ve made for happy kids. It makes for a cozy snuggling spot, a relaxing swinging place and one of the fastest spinning apparatuses I’ve ever seen. I take this out only in winter and hang it in the kids’ room. One of my sons loves to swing as it’s calming to him (when he was a baby he’d actually fall asleep in the swings at the park) so this is a big hit. 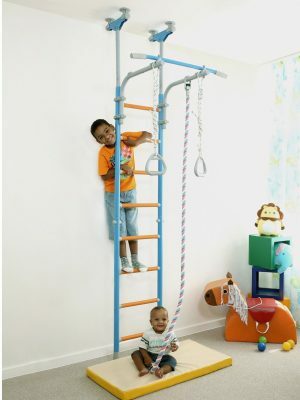 Indoor Play Gym – If you can find a corner to make a climbing space, this could be a really fun addition to a playroom or kids’ room. In researching these I also found this Swedish “Wall Playground” which is both pretty and a unique climbing toy that doesn’t take up a ton of space. Yoga with Kids – You can try checking out a Kids Yoga DVD from your local library or try streaming one (Netflix has some yoga for kids videos, as does Amazon Video), or use cards like these Yoga Pretzel Cards for ideas. Make Couch Forts. Couches are not furniture (you thought they were?). From obstacle courses made with the cushions, to the endless forts, my poor couches get A LOT of use as kid entertainment. 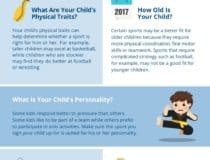 Naturally, some of the toys listed above for preschoolers will be good for big kids as well, so do take a look at those, but here are some indoor toys good for active kids over age 5. A Rocking Popping Ride On Toy – The Teeter Popper toy from Fat Brain Toys helps with increasing stability and strength. It has suction cups that make a neat pop-pop-pop sound as kids rock and wobble. Or try the Diggin Wobble Deck for a game to go along with the balancing. A Doorway “Gym” – This doorway play equipment is a very fun way to let kids climb and swing (which are great physical activities for their bodies and brains). You can try just a simple bar where they can reach up to try doing a pull up, or get something like this Gorilla Gym Kids with Indoor Swing, Plastic Rings, Trapeze Bar, Climbing Ladder, and Swinging Rope. Tumbling Mat – This deceptively simple piece of play equipment is so much fun. 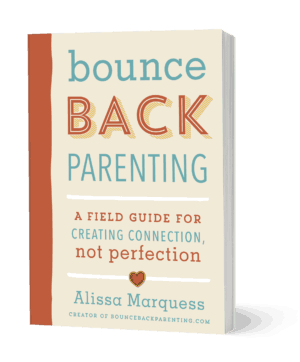 Show your kids how to do somersaults! Practice hand stands, or even let them impress you with their cartwheels. A mat makes this a much less nerve wracking play idea. 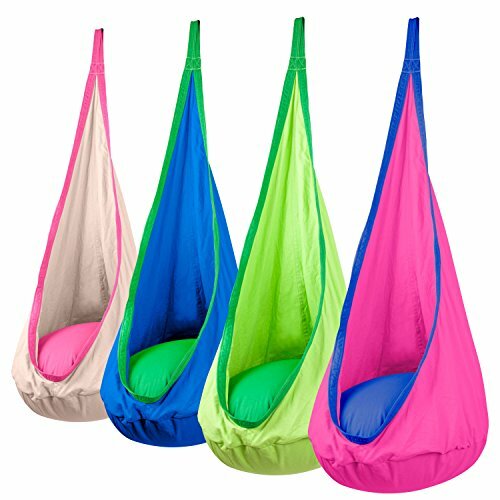 Bean Bags – Kids can practice tossing and catching or even learn to juggle. Twister – This is a classic board game that gets kids moving. They can bend and twist and laugh and get their sillies out playing it. Just Dance – If you have a games system, why not get kids moving while they play? Do you have any favorite indoor active play toys? 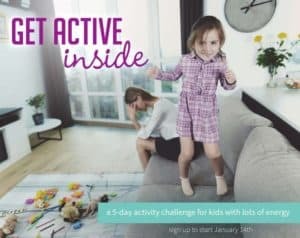 I would love to know about more ways to get in physical activity on days when we’re not outside as much. Delight List for your 4-6 Year Old (All the fun you don’t want to miss at this age). 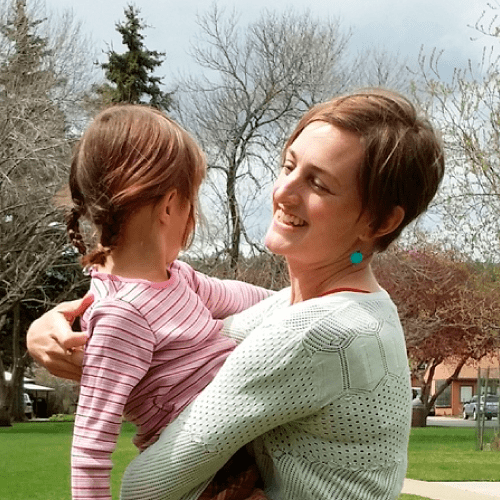 Ready to get outside with those tots? Find our list of the best snow boots for toddlers here so you can go burn off some energy in the cold! 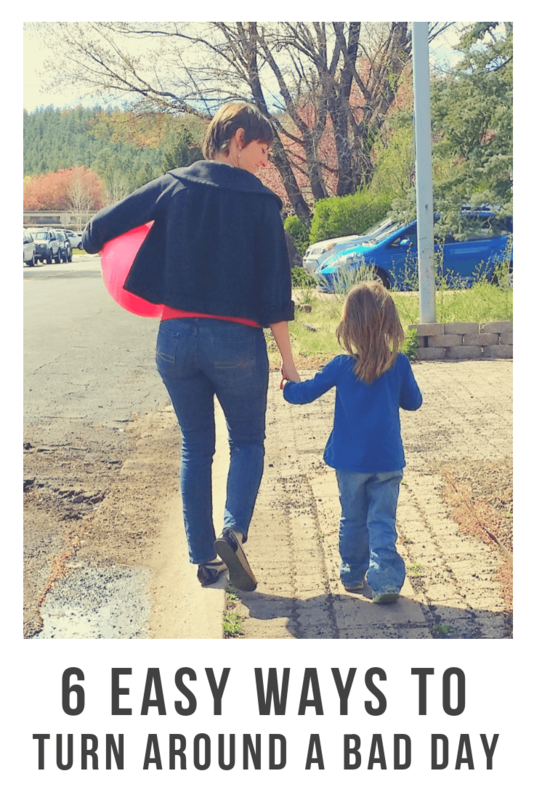 what a great list of ideas… my middle boy often needs something physical to do inside for those days when it is too wet or too hot to go out. I love your list of ideas. I have never seen a Rody Pony before, it looks soooo cool! I just have to say your comment about spinning in a salad bowl made me laugh! Also made me think… what a great idea for some in home OT work! LOVE IT! Thanks a lot for utilizing some time in order to compose “Indoor Preschool Activities- Let?s Bounce! I wish I could pin this list into Pinterest directly 🙂 It’s really great, but I can’t find it on your boards, you have so many (awesome, btw). Help a girl out? Have fixed the social share buttons Jessica. Thanks! I want that swing!! I’d like to add two that I just discovered this year, the Spin Disc (you can buy it at amazon…watch a video of it at youtube, search for “gym spin versus”). Also the Gonge top, also available at amazon, and you can watch a video on youtube. Both look super fun. I’m definitely getting the spin disc for my 7 year old who has outgrown his Whirly Rocket. Thanks Angie those do look like fun active toys! I forgot one…we have had a Carrom Balance Board for years and kids of all ages love it! I have a daughter who will be five in May. I’ve always kept her tricycle in the house. She rides circles around the first floor which I’m thankful for as she has an abundance of energy! The link for the ‘balance board’ goes to the prince lionheart ride on little bug thing. Oops! Ok, I updated the link now – it goes to this balance board, which is one my niece had that the kids liked: https://amzn.to/1OXfLCu. 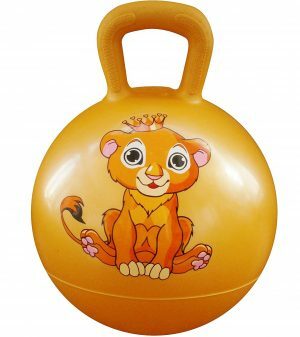 Honestly I would say that for a toddler the Bilibo may be a more fun toy, and it’ll last. I think a child would need to be preschool aged or so before the balance board becomes fun. My son love to do bouncing for hours on mini trampoline. He also had a toddler bicycle from so many years but now he loves to bounce on trampoline with his friend. I also observed that, apart from all indoor activities kids love bouncing more than any other. Its my personal observation because my niece also love to bounce when came in our house on weekend.